It’s been another great week for the predator species, Pike, Perch and Zander have all featured on the newsdesk this week. 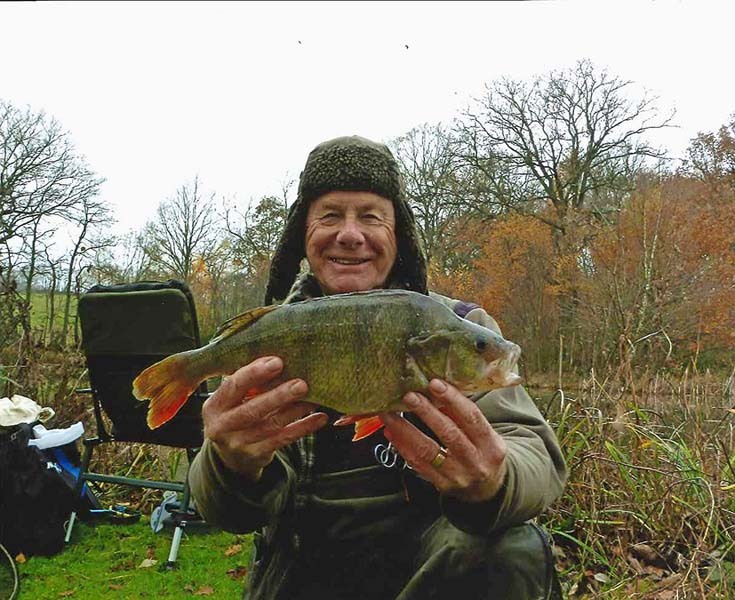 A roach deadbait proved to be key in the capture of this lovely 4lb 12oz perch for Rob Inns. The predator ace from Surbiton, Surrey, struck into the fine specimen after lowering his hookbait into a deep hole on a stretch of the River Thames. Rob’s terminal tackle consisted of a pike float and a size 7 Drennan barbel hook to liphook the bait. The River Nene’s perch and zander record-holder continued his incredible run of form for big predators when he latched into this fine 11lb 3oz zed during a recent trip. to get a take the 23-year-old switched his tactics to a lure. “I connected a Fox Rage Zander Pro to my line and instantly started to catch fish,” Harry said. A failed trip for roach and bream helped Nick Popplewell to slip the net under this mammoth 32lb pike. The 58-year-old self-employed decorator targeted the silver fish species with his friend on a private estate lake in Leicestershire but then, after a biteless day, he decided to set up a lure rod for the final hour of light. 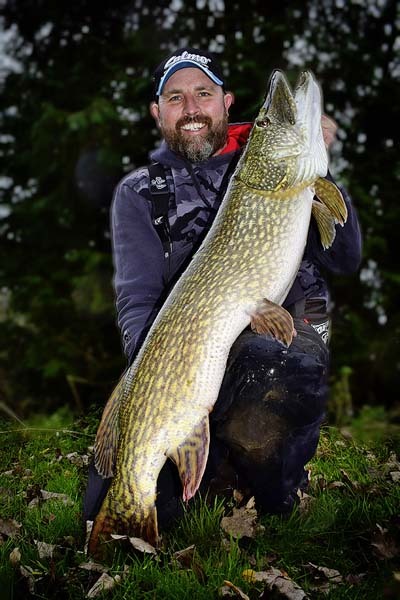 AN 18CM Fox Rage Replicant Shad helped in the downfall of this stunning stillwater 30lb 2oz pike for Chris Lowe. The Fox Rage-backed predator ace hooked into the fine specimen, alongside a string of other mid-double figure pike, during a roving lure session on a difficult gravel pit in Derbyshire. 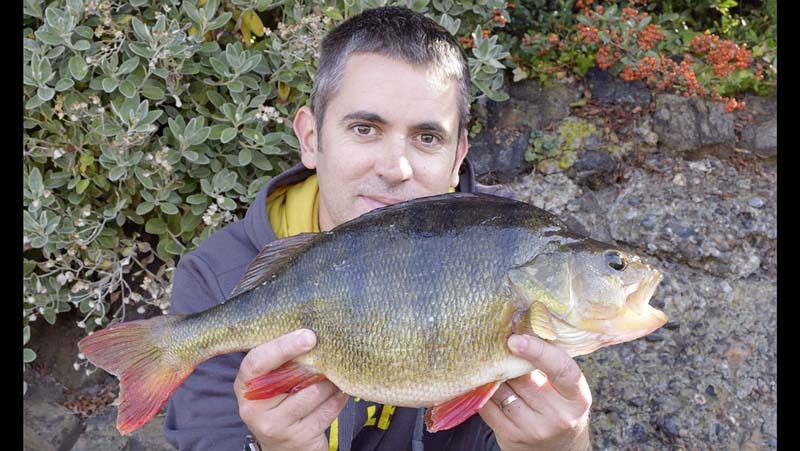 A whole prawn fished over a bed of chopped prawns proved too irresistible for this 3lb 9oz perch for Robin Piper. The avid Angling Times reader targeted the centre of the lake at Kent’s Paddock Wood fishery whilst using a minimum-resistance running leger rig to help tempt a big stripey into taking the bait.